Since the kitchen is the heart of the home, it can be very challenging and difficult when it comes to renovating the space. First we need to make the decision whether we want to totally gut or just reface and update the kitchen. Due to the fact that the design world is changing rapidly; styles can be in one season and out the next. We have some simple tips on how you can update your kitchen without re-doing the whole thing. 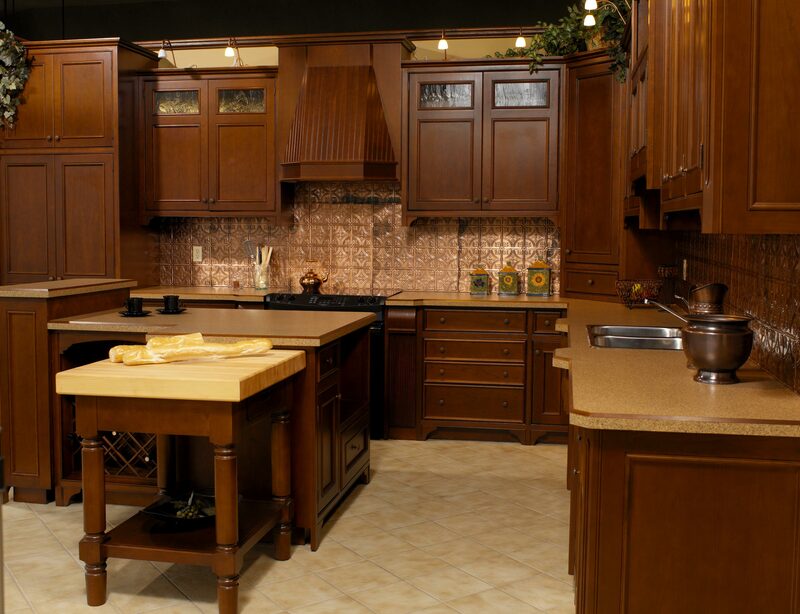 Located at our Guelph showroom we have a cherry tudor style kitchen. Back in 2005 the tudor style was in high demand, people loved the classic and sophisticated look. But, with the changing trends people began to stray away from the tudor style and pick more neutral simplistic styles. As the tudor kitchen sat sad and unloved in our showroom we began to think of ways to make people love the tudor style again. 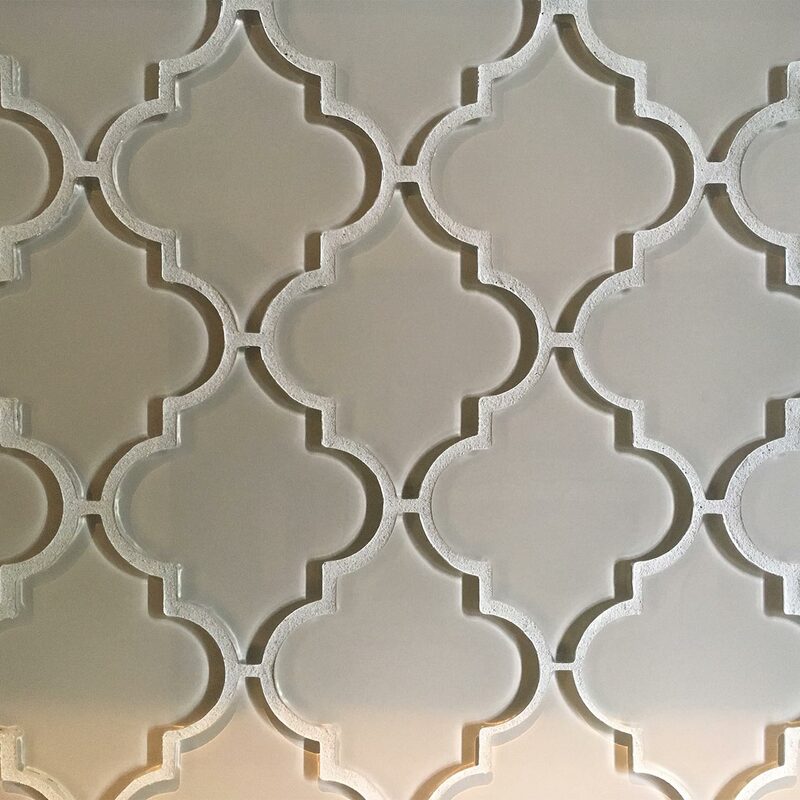 We decided it was time to give our neglected tudor frame kitchen a face lift. Our initial thought and most crutial decision we hade to make was to pick a colour that would not go out of style, yet still stick with the classic tudor style. The decision to paint or stain was a tough one. 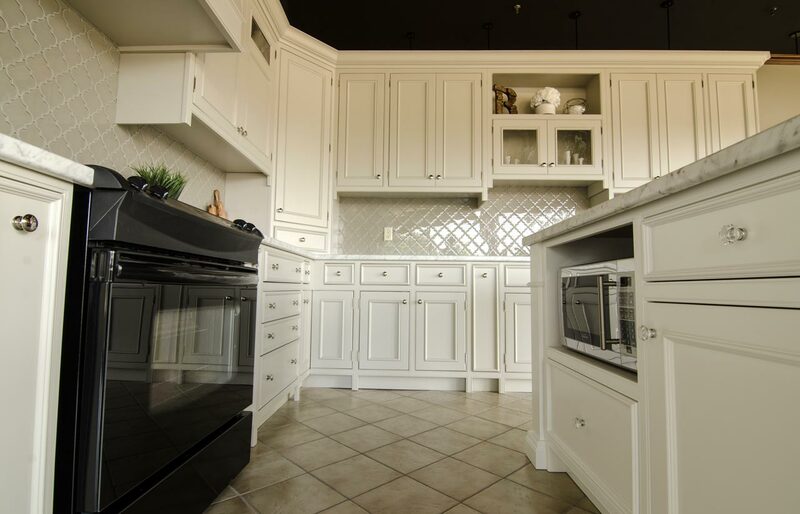 But with the large growth in painted cabinetry now-a-days it was no question the kitchen had to be painted. Choosing a neutral yet trendy pallet was simple. 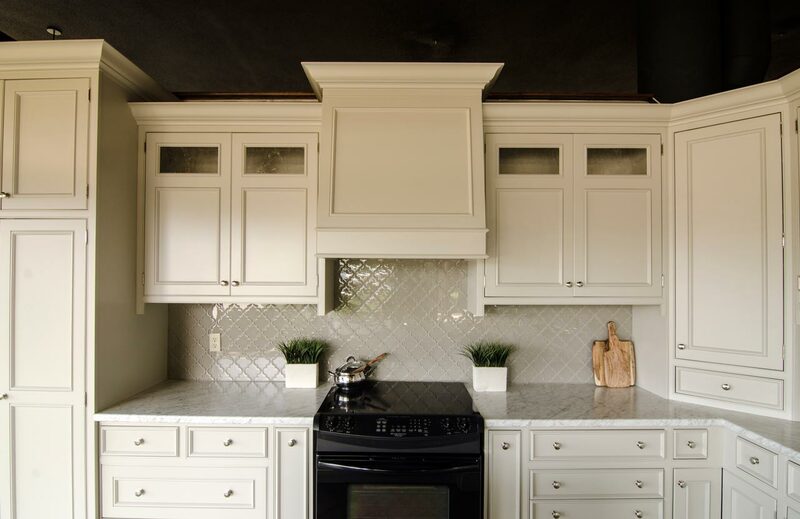 Therefore, for the outter kitchen we chose Benjamin Moore Revere Pewter HC-172. The next decision was to decide what simple changes we can do to make a big impact. 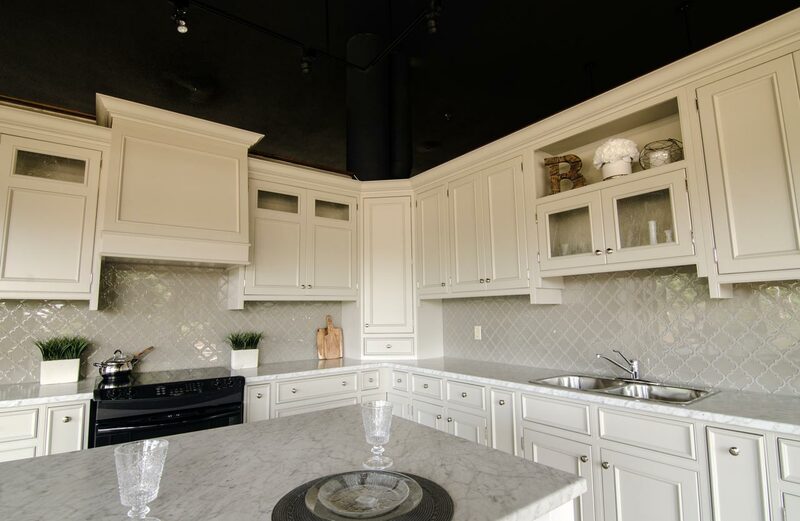 Usually the accented piece is usually the island – done in a different tone or colour to contrast the outter cabinets. Since the island was notebly the most dated aspect of the kitchen it only seemed fit we construct a new one. 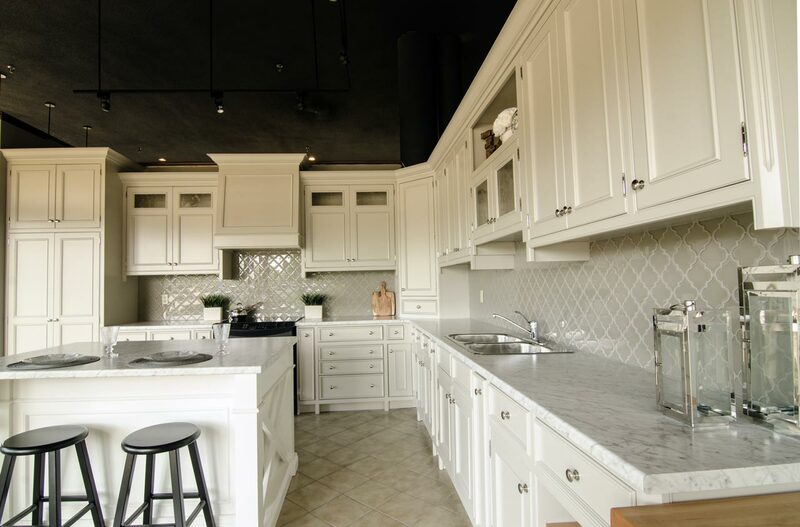 With the new design we decided to take a different approach, something a little different then the ordanry white kitchen with a dark island, we chose Benjamin Moore Simply White OC-117. 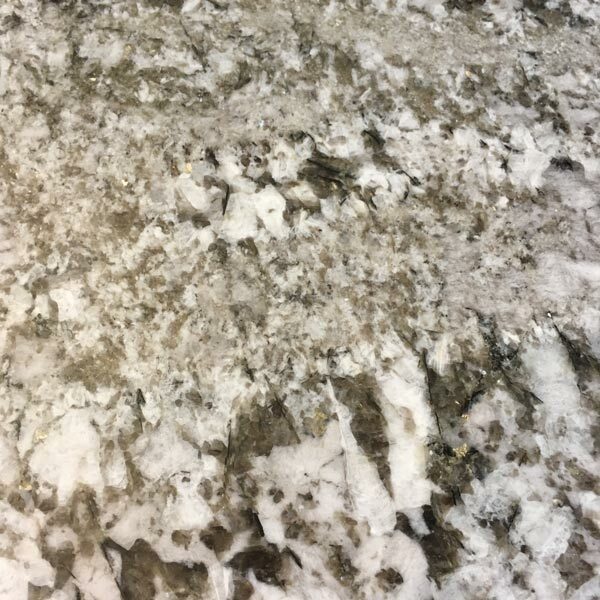 Next was the countertops. The old cherry wood ribboned counter was outdated. We knew a bright new classic counter top had to take it’s place. 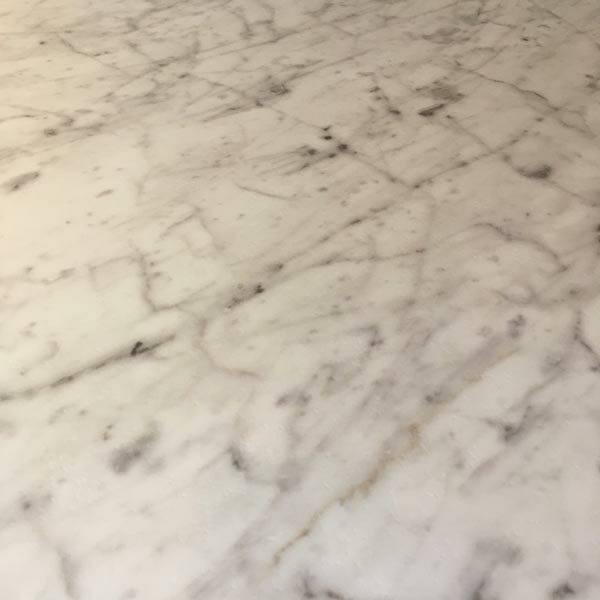 By observing the most popular countertops chosen by customers we decided on a marble looking laminate – Formatops Cararra Bianco Etching (6696-46). 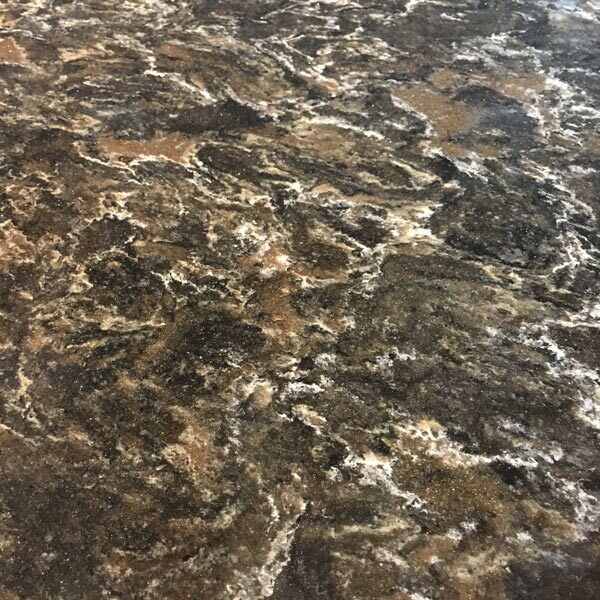 Laminates have come a long way, some look just as good as the real stone. It’s a really good cost effective way to achive the look you had imagined, without putting a big dent in the budget. Lets not forget about the changing of the backsplash! The copper pannels were retro and made the weight of the kitchen dark and heavy. 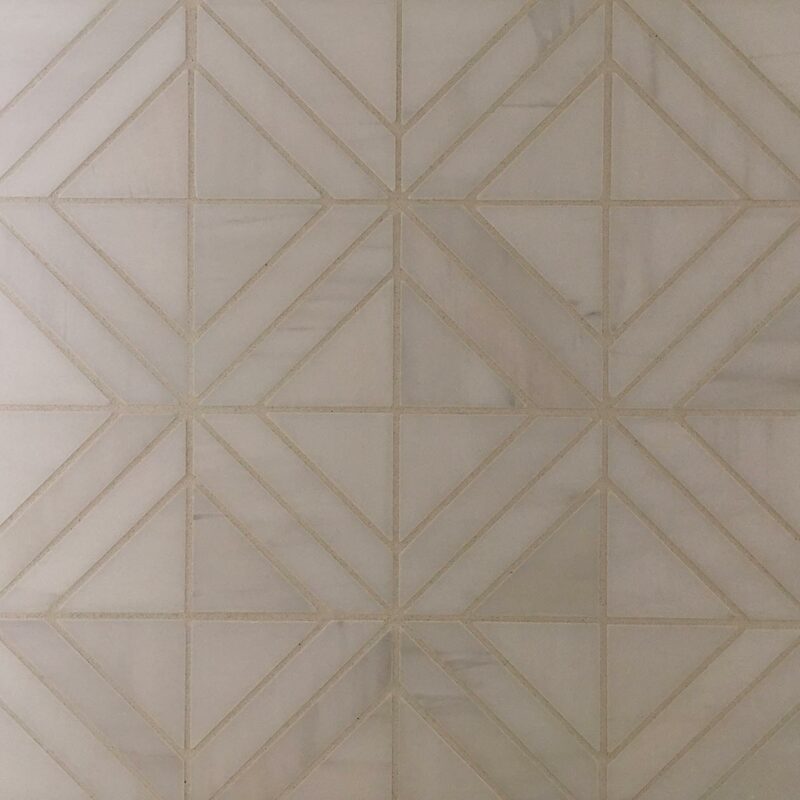 Sticking with the simplistic look we decided to chose a backsplash that created a big impact, yet had a subtle profile - the beautiful Moroccan glass backsplash. 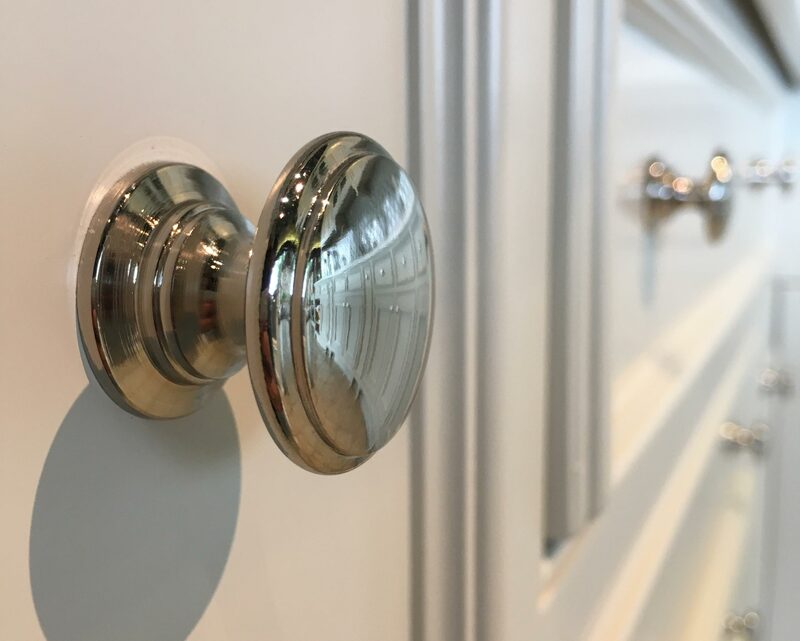 Last but not least was little details; removing the over cabinetry lighing and adding recessed lighting, replacing the traditional tongue and groove hood with a squared contemporary one and changing out the hardware to a circular polished nickel knob. These small changes helped to pull the whole look together. Without changing the actual style of the kitchen and the layout we changed the entire look and feel of the tudor kitchen with just a few simple modifications. The once dark and heavy kitchen now has a light, clean and airy feel. Although some beileved the simple paint change would not be able to revive this retro style, just the paint change alone made the biggest difference. Even though a brand new stylish kitchen would be great only if everyone could afford it. As shown through our tudor kitchen example, not only can you achieve the “WOW FACTOR” you are looking for with simple changes, but for a fraction of the cost. The most important thing when deciding to renovate a kitchen is to set a budget. 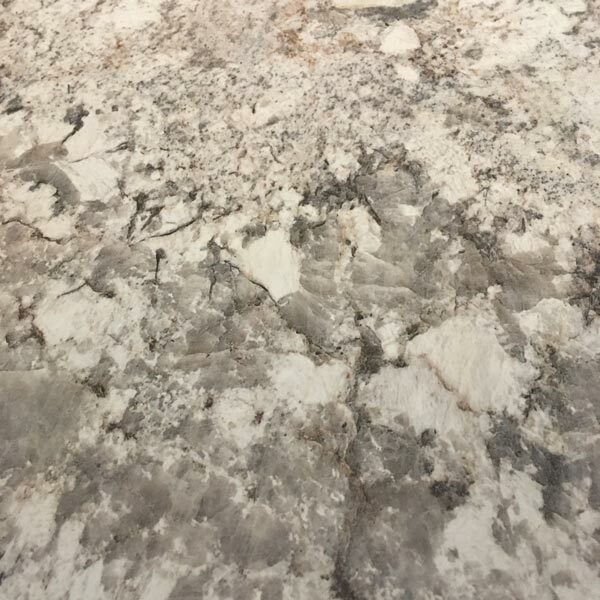 Some might get scared when they starting thinking about custom kitchen finishes but, kitchens tend to give the biggest return on investment by far over any other room in the house. With a 75% to 100% return possibilty a kitchen update is one of the best decisions a person can make. With a budget set it can help one to choose finishes and styles within ones price range. 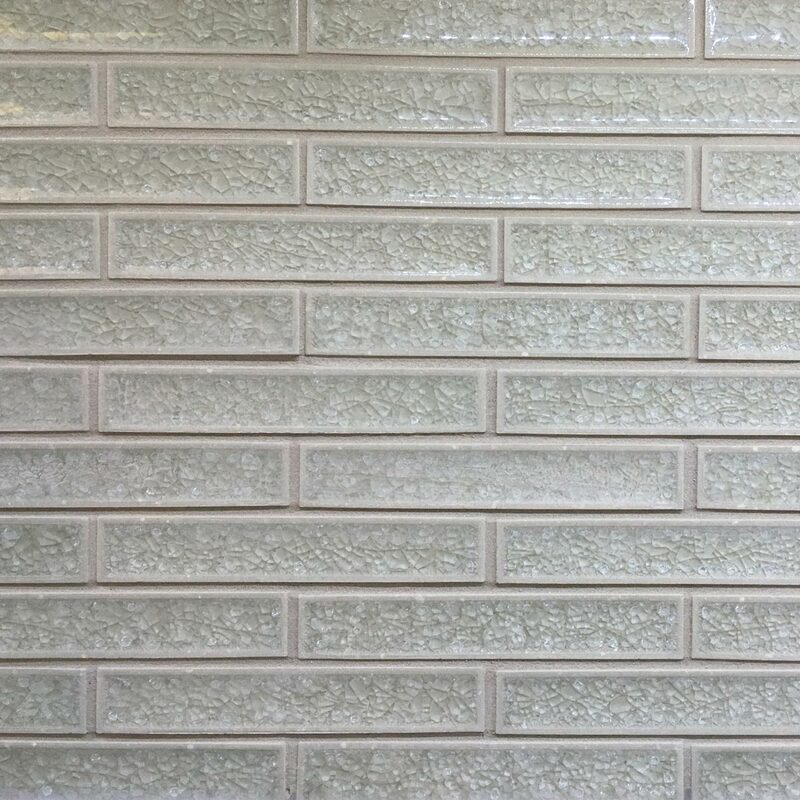 Even by choosing from a builders line, one can achieve a custom look without breaking the bank. Also, like the tudor example one does not need to invest in expensive counter tops – butcher block or high end laminates can do the trick. If one is not looking to do the entire kitchen, a simple bathroom vanity update helps to increase a houses value aswell. 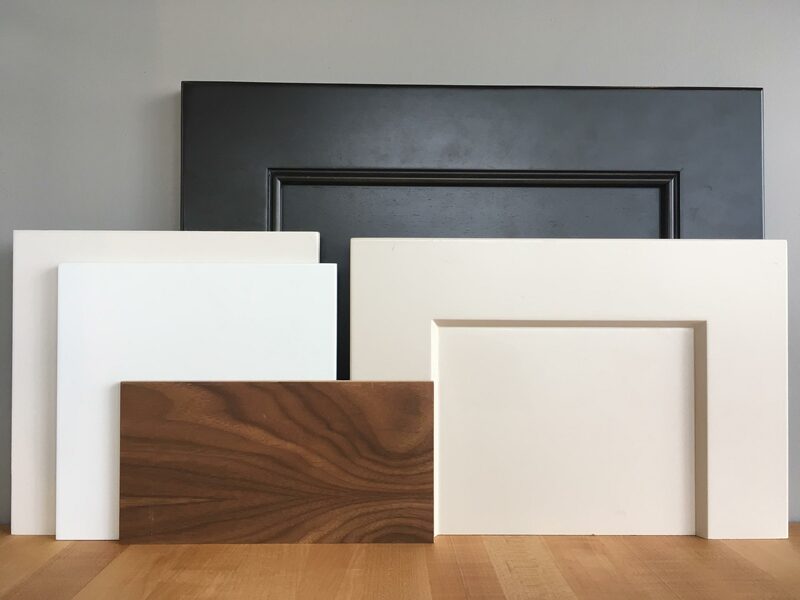 Barzotti woodworking offers to reface cabinetry doors, unfortunatly we do not refinish but there are local companies that refinish cabinetry right in your home town!